Sir William Paterson (April, 1655 – January 22, 1719) was a Scottish merchant and banker, the founder of the Bank of England and an initiator of the Bank of Scotland. He wrote on economic issues, in favor of free trade considerably before Adam Smith's Wealth of Nations. His ideas of international trade across Panama were an early precursor to the development of the Panama Canal. He remains famous for his idea of the Darien Scheme, the Scottish trading colony on the Isthmus of Panama, which unfortunately resulted in great disaster and near bankruptcy of the whole Scottish economy. Paterson was a man of brilliant ideas, anticipating many future developments. However, his foresight was limited by some impractical applications, which caused great tragedy both to him personally and to his nation. He emigrated first to Bristol in England and from there to the Bahamas. It was there that he first conceived the Darien Scheme, his plan to create a colony on the Isthmus of Panama, facilitating trade with the Far East. In the Bahamas, Paterson became a prosperous merchant, some say even keeping close connections with pirates. The time and expense of navigation to China, Japan, the Spice Islands, and the far greater part of the East Indies, will be lessened more than half, and the consumption of European commodities and manufactures will soon be more than doubled...Thus, this door of the seas, and key of the universe, with anything of a reasonable management, will...enable its proprietors to give laws to both oceans (Paterson, 1701). He believed that it would open up the flow of goods across Atlantic and Pacific Oceans, and would bring free trade to all of Central and South America. He thus advocated the establishment of the permanent-trading colony on the Isthmus of Panama. Trade will increase trade, and money will beget money, and the trading world shall need no more want work for their hands, but will rather want hands for their work (Paterson, 1701). The only problem with the idea was that which ever country attempted to establish a colony in Panama would inevitably come into conflict with Spain, who had strong interests in Central America. Peterson’s idea was thus refused by the English, after which he tried to persuade the governments of the Holy Roman Empire and the Dutch Republic to establish a colony in Panama, but failed in both cases. Paterson returned to London and made his fortune in foreign trade (primarily with the West Indies) in the Merchant Taylor’s Company. He published a paper entitled A Brief Account of the Intended Bank of England, in which he revealed his idea of a central national bank that would help in government finances. In July 1694, Paterson realized his idea, and founded the Bank of England. He proposed a loan of £1.2m to the government; in return the subscribers would be incorporated as the Governor and Company of the Bank of England with banking privileges including the issue of notes. The Royal Charter was granted on July 27, 1694. Paterson acted as one of the directors of the Bank until 1695, when he was removed from the post due to a financial scandal. Paterson relocated to Edinburgh, where he successfully lobbied the Scottish parliament for the passage of the Act for a Company Trading to Africa and the Indies. The Act led to the establishment of the Bank of Scotland, the central bank of the Kingdom of Scotland, in 1696. Paterson was also able to convince the Scottish parliament to take an interest in the Darien Scheme. The Government soon started to invest money in the project, causing conflict with the English, who strongly opposed the idea and banned their citizens from investing money in it. By the end of 1690s, it is estimated that between a quarter and a half of the total wealth of Scotland was invested into the Darién project. In July 1698, the first five ships left Scotland heading for Panama. Among 1,200 passengers were Paterson and his second wife Hannah (his first wife Elisabeth had died prematurely) and child. The trip however soon turned to a complete disaster. Many of the passengers died on the way, including Paterson’s wife and child. He was among the few who actually survived. The colonists eventually settled down in Darien, but remained there only for short time and ultimately returned to Scotland abandoning the whole project. The failure is attributed to the harsh living conditions the settlers found, lack of proper leadership, numerous tropical illnesses which killed hundreds, and the hostile local population, which supported by the Spanish, sacked several settlements and prevented the supply ships from reaching the settlers. Paterson returned to Scotland in December 1699, bankrupt and rather ill. He continued with trading business and was instrumental in the movement for the Union of Scotland and England. The treaty led to the Act of Union in 1707. 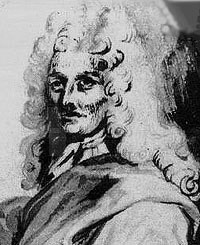 Paterson spent the last years of his life in Westminster, London, where he died in January 1719. William Paterson was one of the most famous Scotsmen, whose name still evokes strong feelings among Scots. He is famous for founding the Bank of England and influential in starting the Bank of Scotland, two institutions fundamental to the economy of Great Britain. He advocated free trade decades before Adam Smith published his The Wealth of Nations. His idea of free trade between the Pacific and Atlantic Oceans preceded the construction of the Panama Canal by about two hundred years. Paterson is however mostly remembered for the disastrous Darien Scheme, which almost resulted in the bankruptcy of the entire Scottish economy, and did result in the death of more than 2,000 people. 1694. Paterson, William. A Brief account of tile Intended Bank of England. 1700. Paterson, William. Proposals and Reasons for Constituting a Council of Trade. 1701. Paterson, William. A Proposal to plant a Colony in Darién to protect the Indians against Spain, and to open the Trade of South America to all Nations. 1705. Paterson, William. Essay Concerning Inland and Foreign, Public and Private Trade. 1706. Paterson, William. The Occasion of Scotland's Decay in Trade; with a proper Expedient for Recovery thereof, and the Increasing our Wealth. 1717. Paterson, William. Wednesday Club Conferences. 1858. Paterson, William, and Saxe Bannister, ed. The writings of William Paterson, founder of the Bank of England: with biographical notices of the author, his contemporaries, and his race. London: Effingham Wilson, Royal Exchange. Anderson, William. 1872. The Scottish Nation or the Surnames, Families, Literature, Honours and Biographical History of the People of Scotland. Paterson Entry Retrieved January 16, 2008. Bannister, Saxe. 1858. William Paterson: His Life and Trials. Edinburgh: W.P. Nimmo. Barbour. James S. 1907. History of William Paterson and the Darien Company. Edinburgh: W. Blackwood and Sons. Howie, Craig. 2006. William Paterson. In Heritage and Culture, Heritage Site Retrieved January 16, 2008. Prebble, John S. 1978. The Darien Disaster. Edinburgh: Mainstream Publishing Co.
William Paterson. In Undiscovered Scotland. Undiscovered Scotland Retrieved January 16, 2008. All links retrieved April 7, 2015. Darien Expedition Good account of the expedition. The Darien Scheme On the Darien project in the Glasgow University Library. William Paterson Good overview of the historical context of Paterson’s times. History of "William Paterson (banker)"
This page was last modified on 7 April 2015, at 15:59.